A statement piece on its own, this Montpellier Retro style fridge freezer has a bold and strong personality which stands out. Includes three adjustable glass shelves, the door has a variety of racks and balconies for tall bottle and jar storage and three freezer compartments. 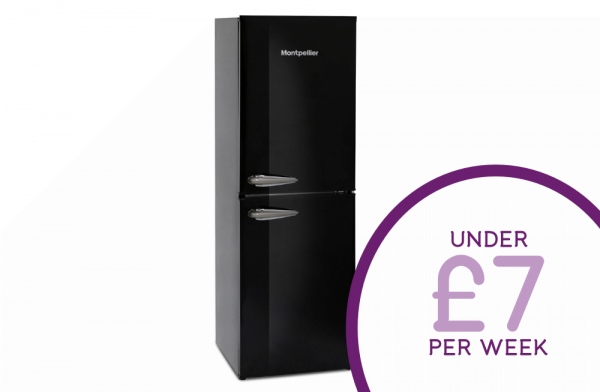 With an A+ Energy rating, this fridge freezer is eco-friendly.